Congratulations Dear Winners! 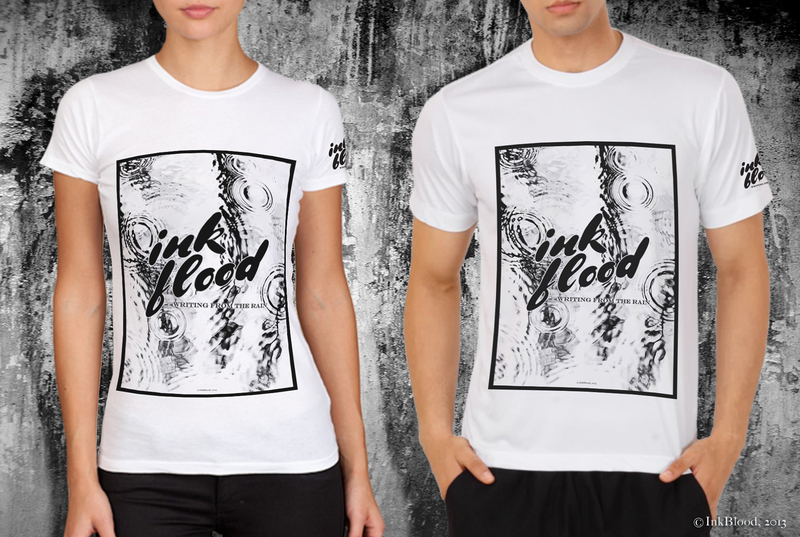 You have won yourselves an Exclusive InkBlood Sportswear T-shirt each! Please send in your shipping address and contact number details at the earliest, to inkblood.info@gmail.com with your sizes [S, M, L]. Thank you for bringing back the monsoon, in floods of ink. 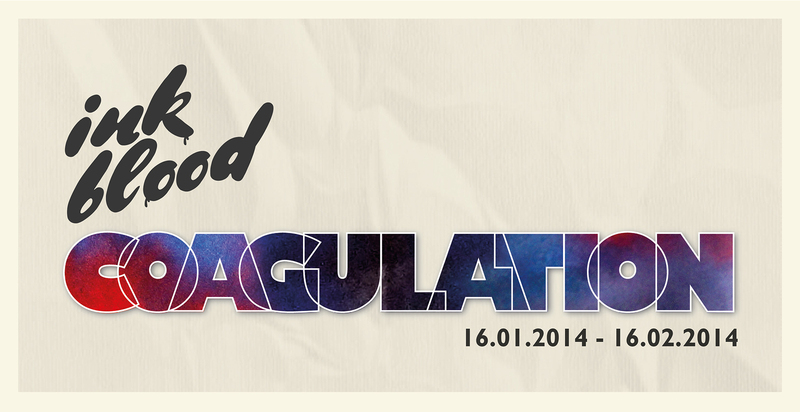 Thank you everybody for your contributions to InkFlood, and for supporting our initiative. A BIG thank you, to all the people who contributed to our Monsoon Writing Contest, to all the readers who supported our writers, and everyone who has given InkBlood all the respect, the love and the support that has brought us thus far. We are thrilled to be here, amongst all you writers, determined writing aficionados and eager ink lovers, and there is nowhere else we want to be! 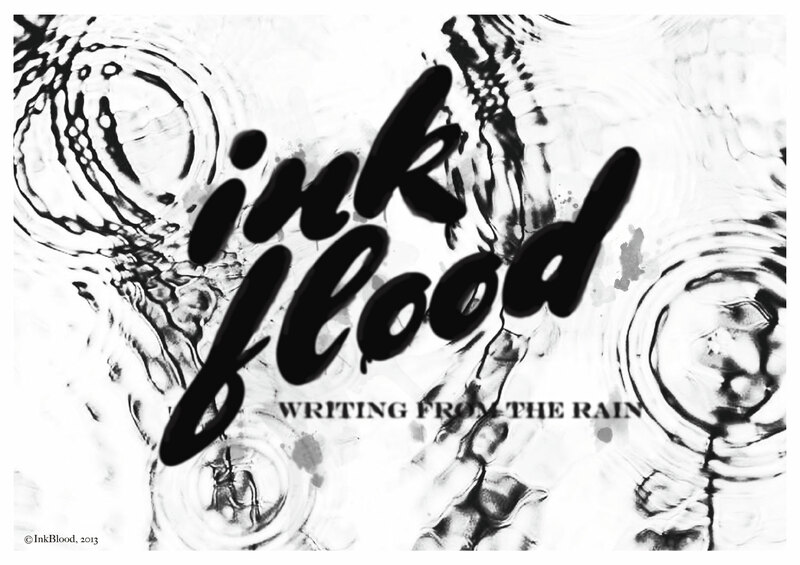 With this, we would like to announce the culmination of InkFlood. We received a total of 18 beautifully evocative entries, from India as well as overseas, all of which have been posted here. We will declare three winners on the 27th of June 2013, along with their smashing prizes! She walks softly, her feet treading lightly on the cracked tiles of the terrace. Not exactly tracing a straight line, wavering, unsure. But bit by bit, she edges closer to the parapet. The paper she clutches close to her breast makes small noises, crumpling and un-crumpling as her fingers curl around it. Her eyes dead-set, looking straight ahead into the horizon, seeing emptiness. The clouds gather, the sky grows dark and dim, the darkness reflected in her eyes. And her heart. If you look closely enough, you could see the single line of tears flowing down to the slim curve of her lips, where every so often, her tongue reaches out, tasting the salt deposits. A crack of thunder sounds, and she flinches. But only for a second. Then she steels herself, places both palms on the parapet, the crushed paper held in the fingers of her left hand, and begins to hoist herself over it. Another crack, but this time she’s ready. She doesn’t flinch, robotic as her palms press downward. Not even when the clouds break. The drops fall, sparse at first. But a few hit her face. Her tongue reaches out reflexively, tasting the edge of her lips. But instead of the brackish taste of her sadness, she tastes fresh, life-giving water. The sweetness washes over her tongue. That gives her pause. She relishes the taste of each drop. It rushes through her body, the knowledge of rebirth and newness. Time passes. She cannot tell how long. She peers down, at the mashed pulp in her hands. The paper that was, on which she had written the tragedies of her life, no longer was. Everything he had done to her. Her job, her family, her pains. Everything that she had etched in ink, now a blue mulch. The rains had washed it all away, the ink flooded with every drop. She feels the watery cyan leak from the pages, over her fingers and vanish into nothingness. She smiles, steps back from the ledge and retraces her steps, back to her life. The crumpled piece of paper stays on the ledge, slowly turning blank, the ink leaking away in the rain. Anshi and Ravi were in a long distance relationship for 2.5 years. They could meet once in a blue moon, but their love was passionate, deep & true. The bonding they shared was strongly unique. They trusted each other blindly & knew that it was totally worth. They had had met for lunches, movies, visits to temples, CCD’s; never had they met in monsoon; it was a desire of Anshi to meet Ravi in monsoon & enjoy rains together. “I love to surprise you my baby doll & you wanted to meet me in monsoon, so here comes your wish true!, ” he smiles. She says, “you remembered that wish, oh my God, you are impossible Ravi,” she holds her hand. She says worriedly, “oh yeah, you’re right. She sits behind him.” He rides and she holds him tight from behind. They enjoy riding in cool breeze and black clouds reign in skies. It rains & they still ride, get drenched, play in puddles, eat together, revel in all the small joys of togetherness. After 3 hours, completely drenched, she starts sneezing & he says, “lets hire a room, you have got cold,” he says worried. “Let us share some warmth? Eh?” he teases. They go in a nearby hotel & book a room. They strip their wet clothes, she in washroom & he in bedroom. She comes out draped in a white towel. He looks at her & clasps her in his arms. He smooches her and gently holds her in his arms and make her lie on bed comfortably. He sits beside her and stares her. He cuddles her and does nothing else for next one hour. Just silently cuddles. Veil of my heart never furled.. Among the noises of printers and office hustles, all of a sudden I heard some tickle sound. Strucked from all sides with deadlines and pending works, I took a minute to push my face out of my laptop to take a glance through nearby window. And, to my surprise, it was RAINING! Oh my GOD! It is first rain of the season of love! Even my boss’s warning to complete a giant pile of work in next couple of hours couldn’t stop me from getting up from my workstation and going to very nearly roadside café, to enjoy this rain with a brimming hot cup of coffee! With the first sip of coffee, I stepped into an another world! My mom running all the way to terrace shouting, ‘someone please help me to collect washed clothes on terrace, they will get drenched again!’ My younger brother dancing and jumping in his underwear enhancing the taste of this first rain! And I am being escorted down on this muddy street by my bestie, to check out the nature on the bike, in this heavy rain! I was pushed out from my state of trance by a car crossing the café, splashing puddle water and horning aloud. The second I realized that I was not at home, but in this BIG CITY, was followed by few tears. No doubt I got a good job here, but sitting in verandah and fruitless discussions with my father on local municipality’s inability in making proper pre-rain arrangements, was just great. This coffee can never replace mom’s rain special tea and pakoda. The smell of costly perfume used in my office is nothing in front of mesmerizing smell of roasted peanuts by road wanderers. And my expensive phone could never capture the irresistible aroma of wet soil spread all over during rains! It is not only the first rain of this season of romance but also my first rain in this new city! Yet it will never be as special as my first rain back at my home!! Contrary to what the title might suggest, this isn’t a discussion about bold adult themes in a B-grade Hindi film. In spite of its annual frequency, rain is a phenomena that repeatedly manages to evoke completely polarised feelings in me year after year. The Lord above has never believed in moderation when it comes to Delhi weather. Winters are cold enough to make the flabbiest of people feel like iced jello. Summers put up stiff competition to the middle eastern deserts, with the Rajasthani north-westerns winding their way into the most sealed of houses. These winds are appropriately called ‘loo’, for just how disgusting they are. Spring and Autumn are mere teasers of the splendour of nature and are all-too-soon usurped by one of the other two extremities. While these two dictators are locked year-round in a battle for supremacy, a cloak-and-dagger revolution builds up and eventually throws itself into the strife, coming off as the victor. The titans are kept bay for a while, held off by an unrelenting legion. Bless the low pressure over the deserts of Rajasthan. The heat of the sands that was pushed into the same category as a lowly toilet suddenly becomes the harbinger of long awaited precipitation. A thick, grey coverlet blots out the sun and fills the hearts of millions with a variety of emotions. Lovers get another excuse to flail their romance, while beggars finally get their long awaited bath. Prayers ascending from the villages are answered. The crops get their dose, implicitly giving villagers their own. Pollution laden vegetation is suddenly green again and the muck of the cities is washed away for a fresh coat of grime to be reapplied in the coming months. Children, as well as adults who enjoy becoming children once in a while, happily hop in puddles while drops of water the size of crazy balls drench them from head to the pinky toe. This is the effect this surreptitious inclusion to the weather system has on the population. The first few days of the downpour are euphoric, with the radio, TV and print media celebrating in unison with the people they address. I give it three consecutive days. Post-diluvian, the croons become curses, the puddle bobbling jacks duck for cover, trees fall, traffic gets disrupted and soils saturate, destroying the once arid crops. 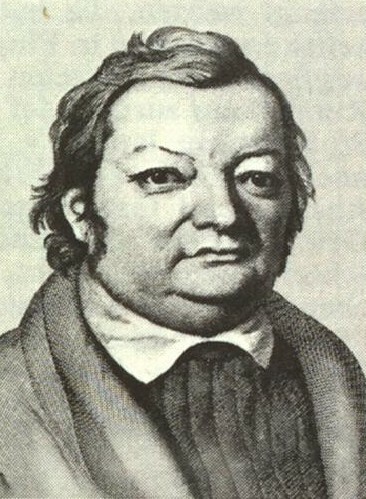 The deluge even dilutes flowering romance (for what is love but a complex chemical reaction?). Sweat pours down and does a better job of showering than the rain. Suddenly, wistful memories of sunshine resurface and people are seen glancing with drooping faces at the enveloping gloom. Finally, to add to the overhanging misery, out come the anthropods from the depths of hell. A whole squadron of leeches, ants and flying beasties with an inexorable relish for human blood silently squirm out of their long exile. The feast is on, and this time, we’re the meat. The clouds exhaust their quota for the time being. The sky is a sickly blue again. The country stabilises. But human nature demands missing something only after it’s gone. So the silent wishes restart. The heavens comply. A drizzle. Hearts uplift. The way is clear for another go. I’m in the downswing right now, as I sit about scratching an enormous red patch one of these creepy crawlies has given me. A re-yearning for the cool, moisture laden breeze should be underway in a couple of hours now. Wait a second. Here it is.